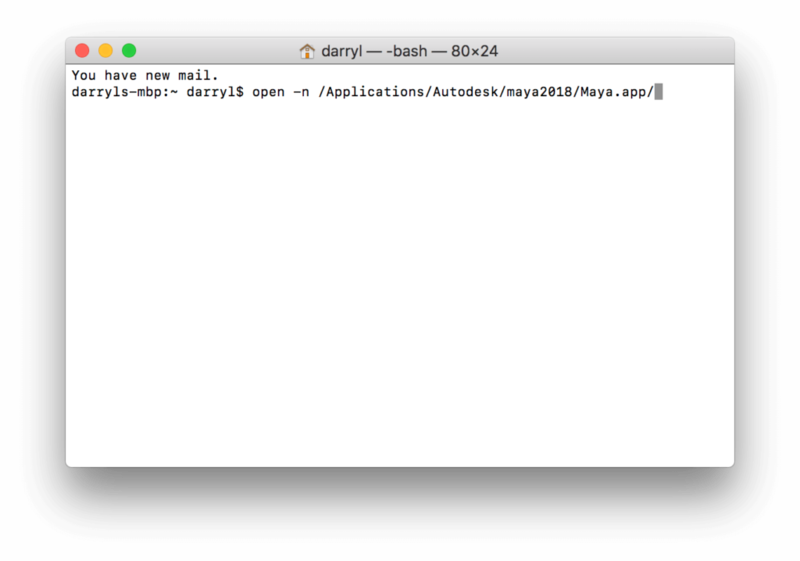 On a Mac OS by default you can have only one instance of Maya running. The instance can have multiple windows open, but this means you are limited to be working on one project or file at a time. We can open another instance of Maya with the help of the command line, for this we will be using the Terminal. You can open it with the help of spotlight or go into the others folder in the Launchpad.